TECNO SPOT NG started a topic Win A Ticket to attend the SPARK 3 Party! Win A Ticket to attend the SPARK 3 Party! Would you like to attend the Spark 3 Party in Lagos, Nigeria? Last edited by Kaykerry; Yesterday, 05:48 PM. As usual, we are happy to announce that the most anticipated Spark 3 Party is coming up in a few days time. Happy Easter To All Our Tfans . May this Easter be a lovely one for you and your family. Last edited by TECNO SPOT NG; 04-22-2019, 05:03 PM. Include an image or video to make your entry valid. Its now available for purchase at our exclusive stores. Thank you for choosing TECNO. 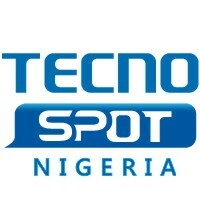 TECNO SPOT NG replied to Tecno Phon, my choice. Last edited by TECNO SPOT NG; 04-09-2019, 05:55 AM. Last edited by TECNO SPOT NG; 04-08-2019, 06:01 PM. TECNO SPOT NG replied to Traffic Bar status. Your suggestion has been noted. Kindly move some files to the SD card to create space on your internal memory. Android Pie 9.0 update is not available for your device. Last edited by TECNO SPOT NG; 04-08-2019, 02:56 PM. I'm sorry to inform you but we do not offer phone swap. Tap on "Always allow" to proceed. Visit any of our exclusive store nearest to you. Last edited by TECNO SPOT NG; 04-07-2019, 03:15 PM.